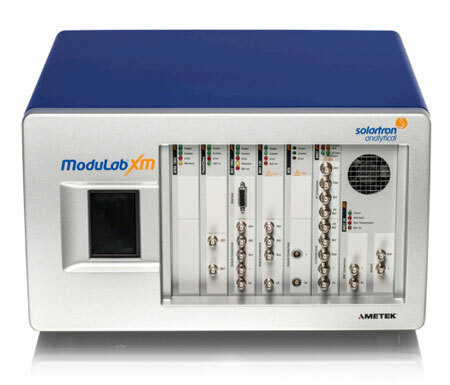 The Solartron ModuLab XM MTS is designed with modularity and flexibility in mind, for a wide range of materials research and testing applications. 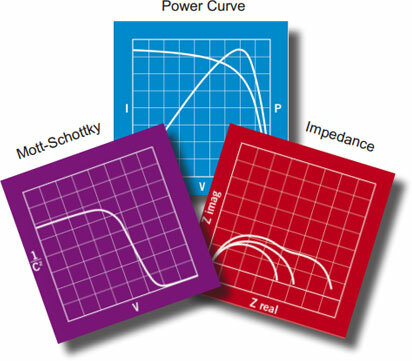 Measure the extremes of ultra-high impedance/low capacitance dielectric and insulator materials, as well as high conductivity materials in the sub-milliohm range. The ModuLab XM MTS is capable of time domain and AC measurement, high and low impedance, high and low voltage and current as well as temperature control – all in one convenient system. The ModuLab XM MTS system can auto-sequence all of the above time domain and AC techniques without switching cables, removing the need to configure complicated systems using discrete measurement units. The software controls a range of temperature accessories in convenient, easy to configure experiment sequences. Contact us for independent advice and a quote. The Solartron ModuLab XM MTS can be configured as either a single or multichannel system. In multichannel configurations, each channel can be controlled independently from separate PCs, allowing tests on multiple samples to be run in parallel by different researchers. Groups of modules can be configured in the same chassis, from ModuLab XM MTS and from the Modulab XM ECS Electrochemical System. An example application is XM MTS modules characterising high impedance SOFC ionic membrane materials, while XM ECS modules test the complete fuel cells. All modules are ‘plug and play’, so they be added easily in the field. 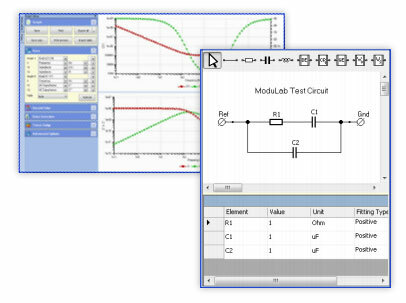 The software recognises the additional modules and channels and enables them for use in future experiments. The software provides powerful automatic sequencing of time domain and AC techniques, as well as data analysis features including Fill Factor and circuit fitting functions.